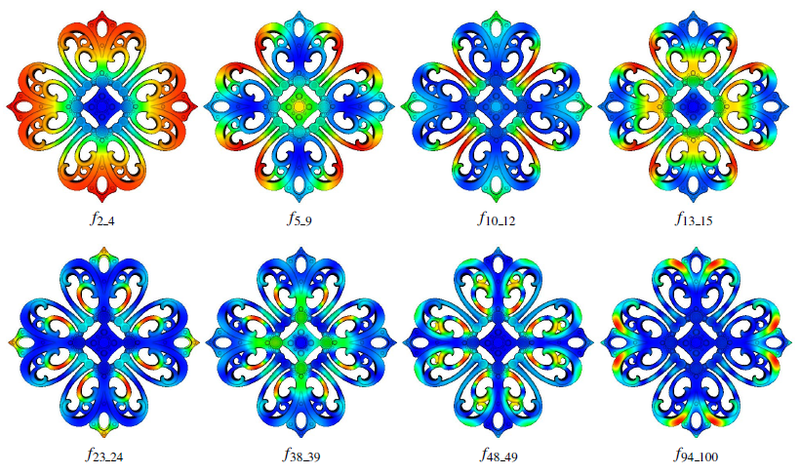 ﻿﻿﻿We introduce spectral Global Intrinsic Symmetry Invariant Functions (GISIFs), a class of GISIFs obtained via eigendecomposition of the Laplace-Beltrami operator on compact Riemannian manifolds, and provide associated theoretical analysis. We also discretize the spectral GISIFs for 2D manifolds approximated either by triangle meshes or point clouds. In contrast to GISIFs obtained from geodesic distances, our spectral GISIFs are robust to topological changes. Additionally, for symmetry analysis, our spectral GISIFs represent a more expressive and versatile class of functions than the classical Heat Kernel Signatures (HKSs) and Wave Kernel Signatures (WKSs). Finally, using our defined GISIFs on 2D manifolds, we propose a class of symmetry-factored embeddings and distances and apply them to the computation of symmetry orbits and symmetry-aware segmentations.